Santos Mahogany, commonly known as Cabreuva, is one of the most sought after exotic species. It has a moderate amount of color variation between boards, ranging from a lighter golden brown to a darker purplish red or burgundy. It has gorgeous gold and yellow overtones. The heartwood consists of reddish brown deposits. Much like many of the exotic species, Santos Mahogany deepens and darkens in color over time, however the color change is minimal compared to some of the other exotic species. When exposed to intense light it shows moderate to very pronounced color variation. Santos Mahogany is not related to true Mahogany although it resembles it in appearance. 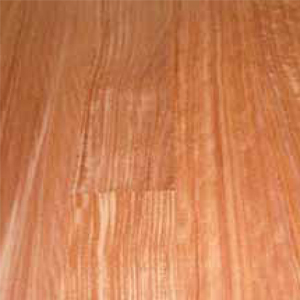 Santos Mahogany is actually much denser, harder and stronger than actual Mahogany. Grain: Generally uniform, ﬁne and even grain. Grain is usually interlocked with a medium to ﬁne texture. Hardness: 2200 Janka Hardness Scale, as compared to Red oak- 1290 & Hard Maple- 1450. 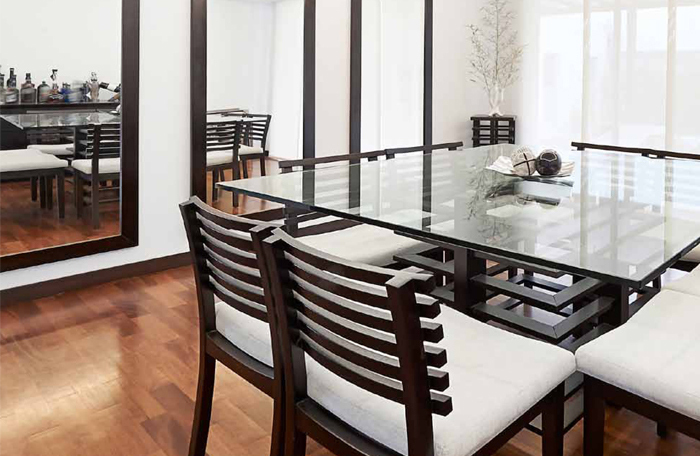 Durability: Santos Mahogany ﬂooring is incredibly hard and dense. It is only 6% softer then Brazilian Cherry/Jatoba. Over 60% Harder than white oak and over 70% harder then red oak.